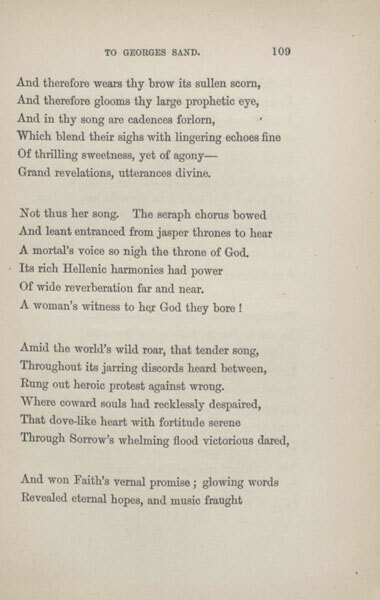 The poem above was inspired by the meeting of the nineteenth century poet, Elizabeth Barrett Browning, and nineteenth century novelist, George Sand, in Paris in 1852. Both Blagden and Barrett Browning admired George Sand for her unconventional private life and the frank sexuality of her novels. 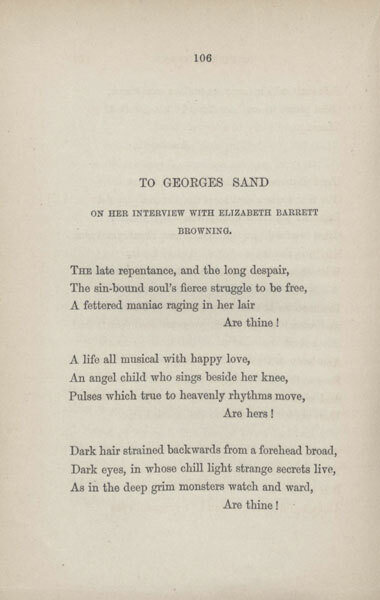 Barrett Browning also wrote poems honoring George Sand. 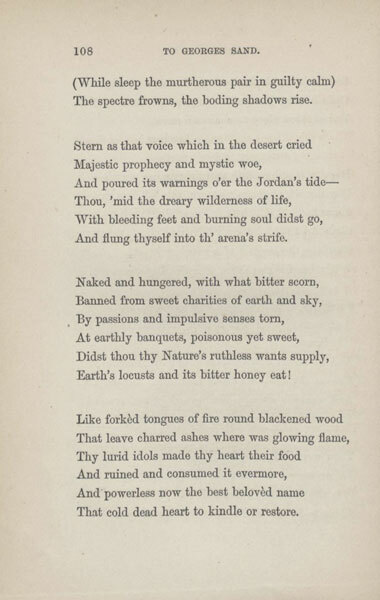 The following poems appeared in her two volumes of Poems, published in 1844. And answers roar for roar, as spirits can! To which alone unsexing, purely aspire. Isabella Blagden was a dear friend of the Brownings and a central figure in the Anglo-Florentine community. 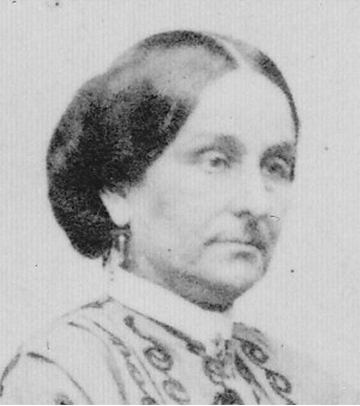 Although originally little was known about Isa’s birthplace, parents, relatives, and early life, recent research by Philip Kelley, Scott Lewis, and Edward Hagan, published in The Brownings’ Correspondence, Vol. 16, has provided many details about her early life. The uncertainty over the year of her birth arises from different information given on her grave marker and death certificate. 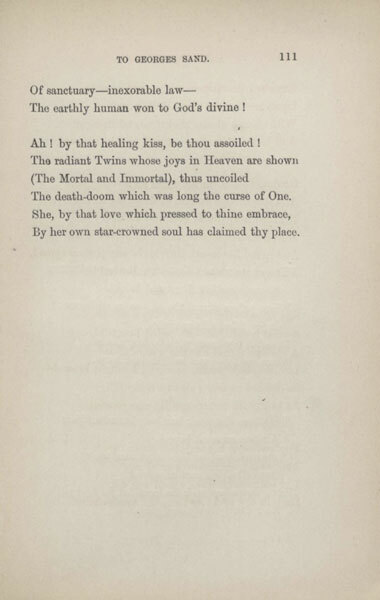 With Elizabeth Barrett Browning’s encouragement, Isa wrote five novels, Agnes Tremorne, being the most well known. 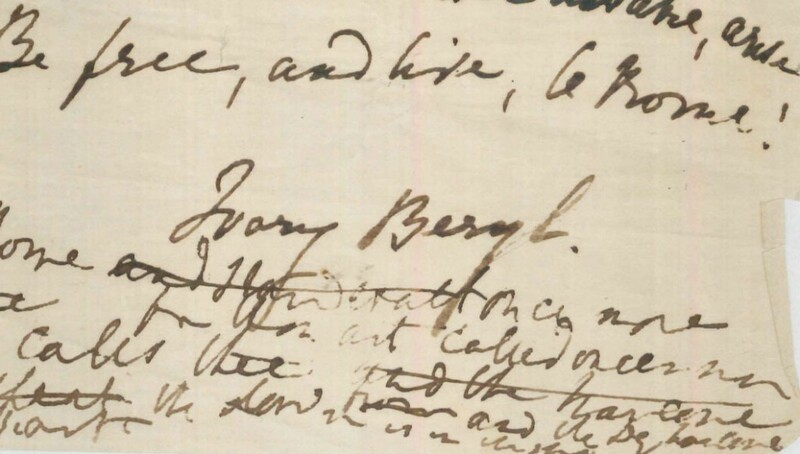 The Armstrong Browning Library has an extensive archive of Isa Blagden’s writing, including three books, twelve manuscripts, and 124 letters written to or by her. Robert Browning’s letters to Isa Blagden were first collected in a volume edited by E. C. McAleer entitled Dearest Isa (1951). 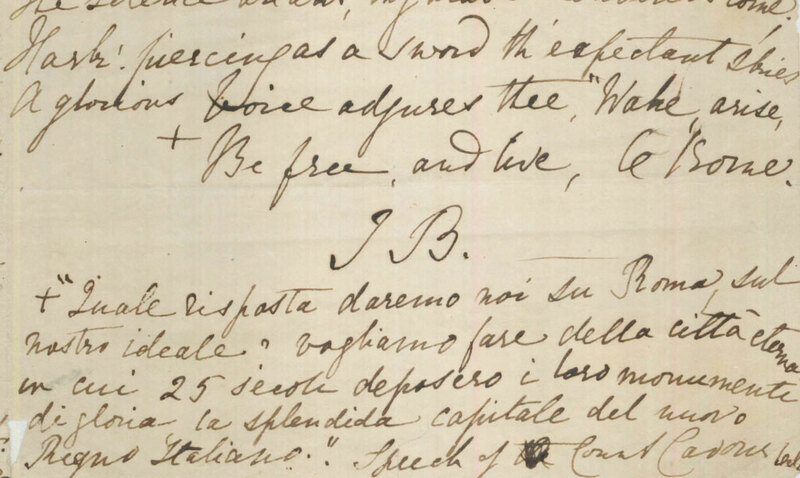 Most recently the letters were published in Florentine Friends: The Letters of Elizabeth Barrett Browning and Robert Browning to Isa Blagden, 1859-1861, edited by Philip Kelley and Sandra Donaldson (2009). 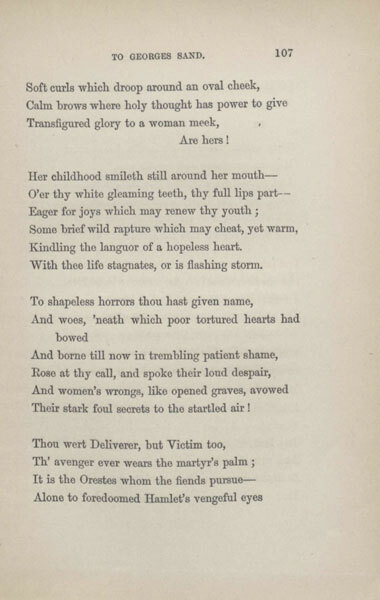 Isa Blagden died in the Villa Castellani, Piazza di Bellosguardo, Florence, on 20 January 1873 and was buried on 28 January near her friend, Elizabeth Barrett Browning, in the Protestant Cemetery.